COTRI and leading Chinese OTA Ctrip’s joint “Customised Travels of Chinese Visitors to Europe” report was launched last Monday, April 16th at the first Business Summit of Ctrip Customised Travel. Held in Budapest, Hungary, the event saw presentations given by both Ctrip Customised Travel CEO Kane Xu and COTRI Director Prof. Dr. Wolfgang Georg Arlt (whose presentation is available at the following link). The report provides insight into the distinct trends that have emerged with the launch of Ctrip’s Customised Travel platform in 2016, which has served to greatly expand the opportunities for ordinary customers looking beyond introductory group packages to access convenient tailor-made travel services. Sitting in between group package offers and entirely self-sufficient FIT options, Ctrip’s customised platform sees customers effectively ‘place an order’ online for their desired travel activities – specifying dates, destination(s) and budget – which is then forwarded by the OTA to thousands of travel consultants who will consequently provide the customer with solutions suiting their requirements. Choosing from a handful of the best-suited options, the traveller is then able to purchase their customised deal through the Ctrip platform. Not only does the consumer exposed to wider range of more flexible, high-quality deals at competitive prices, but they also benefit from the opportunity to be able to contact the travel consultant providing the package at any point during their trip. Revealing the data trends drawn from the platform’s bookings for European trips in 2017 – the second year of its existence, in which it saw 130% year-on-year growth – the “Customised Travels of Chinese Visitors to Europe” report provides a number of clear insights into Chinese customised travel patterns in the continent. In 2017, travel to outbound destinations accounted for 40% of the whole customised travel market, leaving 60% of customised trips being taken within China. Among the outbound customised travel segment, trips to Europe accounted for 9.3% of the entire market, putting it in second place behind clear leader Asia (76.5% market share) and just ahead of destinations in North America (8.7%). One of the report’s key revelations was the difference in destinations favoured by customised travellers compared with conventional travel bookings made to European destinations. The United Kingdom, for example, was the most-visited European country for customised travel customers despite the fact that it is only the ninth most-popular destination for all types of Chinese travellers, while Greece was ranked as the fifth most-requested customised travel destination, even though it does not feature in the top ten of European countries for conventional Chinese travellers. Moreover, with customised travel options further enabling Ctrip customers the opportunity to build travel itineraries around their personal tastes, the report provides insight into the offers that are driving the success of such destinations. Ctrip’s data shows that the UK, for example, benefits from its reputation as a leading destination for filming locations of popular movies and TV programmes, as well as being home to prestigious universities; visits to both types of attractions led the top 10 designated attractions and activities cited in the report. 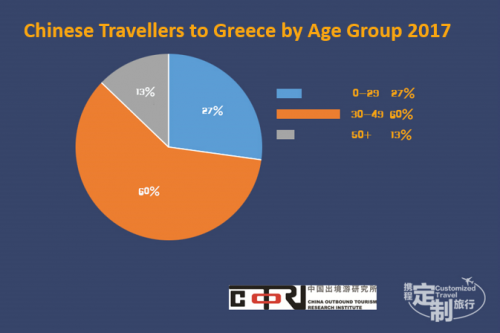 Greece, on the other hand, is revealed to be particularly popular among Chinese travellers seeking out marriage-related topics, ranging from destinations related to proposals, honeymoons or weddings themselves. Ctrip customers visiting the country in 2017 were generally younger and only 45% travelled as part of a package tour. Furthermore, the popularity of Santorini’s cliff side hotels and apartments reflect the importance of accommodation among customised travel customers, more than half of which clearly specify the type of place they wish to stay in when planning their trips. Clear preferences seen in other European destinations included ‘ice hotels’ in Sweden and authentic B&B’s in Spain, which allowed travellers to engage at a deeper level with the local culture. 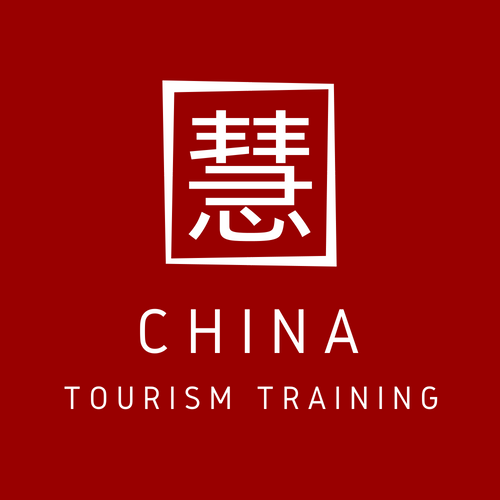 Accordingly, it is clear that customised travel is not only undertaken largely by Chinese travellers with more experience – large numbers of first tier and larger second tier city residents seeking “niche” and “slow paced” travel experiences at an average cost of 2,500 RMB (ca. 396 USD) per person, per day – but also enabling the further segmentation of the market. With activities linked with outbound travel further entrenching themselves as core lifestyle elements for Chinese consumers with more international experience, customised travel offers are enabling greater numbers of Chinese citizens to access ‘global’ consumer activities, ranging from gourmet cuisine and art, to football and clubbing in Ibiza. While, as the report shows, a number of prevailing trends – such as trips to see the Northern Lights – do appear in the market, providing Chinese outbound travellers with convenient means of accessing a wider range of overseas travel options catering to their personal tastes can only help to further accelerate the maturation of the market and encourage greater dispersion. The Ctrip and COTRI “Customised Travels of Chinese Visitors to Europe” report is available at the following link, as well as the China Outbound Latest Segment of the COTRI website.